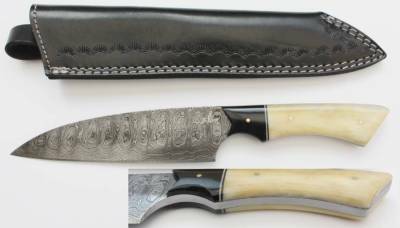 12" Overall with a 7.5" sharpened, hand forged, Damascus steel blade. Full tang with hardwood handles and brass fixing pins. Complete with high quality leather storage pouch. Superb gift potential.